“Rumbula’s Echo” focuses on the Rumbula forest murders of 25,000, more than a third of Latvia's Jews. The massacres, which took place Nov. 30 and Dec. 8, 1941, were among the largest mass shootings of its kind in the Holocaust. 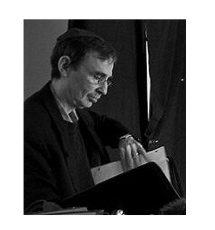 Lieber has directed three short films about the Holocaust in Latvia. In his early career he produced more than 125 interviews and documentaries for Chicago radio station WNIB-FM (now WDRV). His genealogy search for information about his grandfather's parents is woven into “Rumbula's Echo.” His grandfather was a cantor/sofer from Latvia and his great-grandfather was a rabbi in Latvia. In 2002, the genealogy search led Lieber to found the educational website www.Rumbula.org, about Jews and the Holocaust in Latvia. This, in turn, eventually led to the documentary film project “Rumbula's Echo.” Producers of the film, which is still being finished, have been test screening “rough cut” excerpts to international acclaim.